“God was giving land to people and as he finished he realized that he had forgotten about a small group of people, who were silent and didn’t hustle like the others. Because of their modesty and patience he felt pity for them. That is why he decided to give them the most beautiful land of them all, which he had spared for himself. It’s called Bohinj, because we call God “Boh”-The legend of Bohinj. The ringing of church bells awaken me in the early morning. This is when I tend to struggle waking up, considering that back home I don’t think much about the morning window view from my bed. My mum pulls back the curtains and opens the windows, fresh air enters the room. I get up and approach the sliding glass door that opens up onto a deck and there I am awakened to morning mist. My eyes are greeted with lush greenery and alpine mountains. Of all the places I had visited in Europe, I always recall my most memorable scenic experience that surpassed any place I’ve been to- Bohinj, the largest lake in Slovenia. 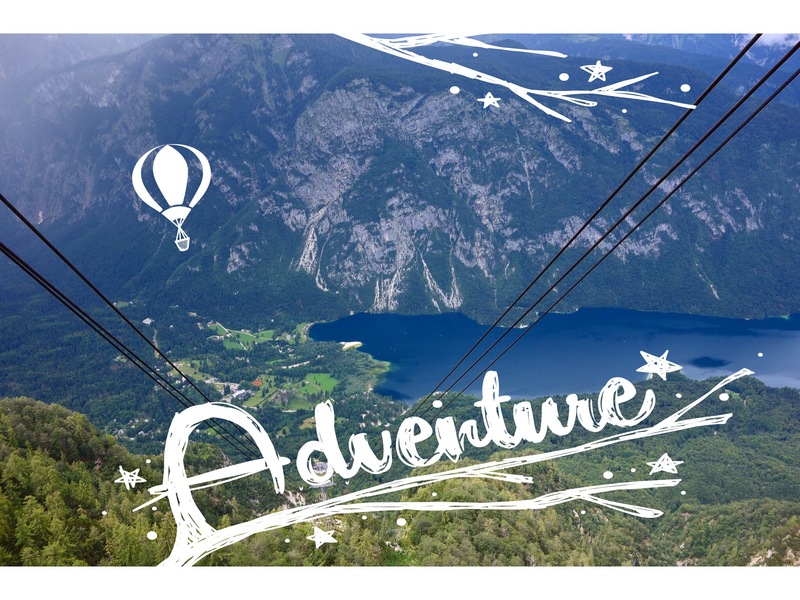 Throughout my stay in Slovenia during my summer vacation, Bohinj was the perfect get-away to commune with nature and stunning scenery found in fantasies and fables. The glacial lake is nestled in a valley surrounded by the snow-capped Julian Alps amidst dense pine forests. The lake radiates a mystical, magical aura as though it has a mood of it’s own every time of day. Pure Serenity. Bohinj is a pretty isolated place, a piece of heaven untouched and unspoiled by human interference. It’s just a slice of Slovenia’s breathtaking nature. The place comes off as uninhabited and doesn’t have that touristy feel to it because it is rather un-commercialized, which I like and selfishly wish for it to remain that way. I would say it is far more popular with locals who visit during the weekends or summer vacations to do many activities such as canoeing, mountaineering, cycling, swimming, and hiking. The mountains provide a peaceful haven for walking along numerous footpaths that circle the pristine lake. Leisurely strolls brought me along unbelievable views of the fresh turquoise waters. There are moments where in the early evening, I’d stand on a small bridge and watch how the sun rays streamed through gaps in the clouds leaving a golden glimmering trail down the lake. The views of the blue waters reflected the towering mountains like a water painting, and a family of ducks would happen to be gliding smoothly across the placid water. I’d see swans pick at reeds along the shore and ducks wading in the shallows. An amazing scene developed right in front of me that was beyond post-card worthy. The tranquility and the fresh mountain air can rejuvenate any soul and I was eager to explore the places and villages surrounding the lake. The water is fed by ice-cold mountain rivers and streams, and the lake itself emanated coldness. One would not even need to dip their toes in the water to test the temperature, it looked cold. Despite this, I felt I’d miss out if I didn’t try setting foot into this lake. Stepping lightly onto the pebbled beach I slowly let my toes touch the water, then gradually my legs. At this point the water was up to my waist and the most difficult part was immersing my torso. I took a deep breath and made a swift plunge. After a few minutes of diving in and out, my body got adjusted to the temperature. As I tottered my way further into the water I felt it getting a few degrees colder with depth. But the grey clouds started to make the water look uninviting and before I knew it, it started to drizzle. Bohinj lake is within the boundaries of the National Triglav Park, the only national park in Slovenia. The lake restores it’s water 3 times a year. It is very well-protected and many activities in the area are prohibited or need strict permission. What fascinated me the most was the fact that the lake is very peaceful. In order to maintain the purity and serenity of the lake, the only modes of transport allowed are small yachts, kayaks, canoes, and two electrically-powered tourist boats. No motor boats are allowed. We took a boat ride to get to the other side of the lake, and as we were whisked away across the crystal clear waters we discovered the many myths and legends that surround the mystical Bohinj valley. There was no better way to have experienced this magnificent lake other than to row to its center on a rowboat and that was exactly what we did. We hired a rowing boat and as we rowed away, I peered into the transparent depths of the water and spotted a family of speckled trout. I watched how the wind blew the water softly, as the sun’s reflection made the ripples glimmer. Rowing the boat at sunset was a relaxing and invigorating experience. As I roamed around Bohinj and further into the villages, I passed traditional Alpine houses dispersed across wild floral meadows. Sometimes we picked berries from bushes along the way. Wandering through a rural village of barns, hayracks and pastoral fields, I was reminded of the traditional pastoral farming life where you can still witness families rising early and tirelessly working the land! Some of the houses previously inhabited by locals in the 1800’s have been preserved and a few turned into museums that serve to provide insights into past lives in Bohinj, including original furnishings and items from its last owners. One of these museums-the Oplen House, is maintained by a caretaker, Gregor Resman, a very friendly man who welcomed us in and gave us a tour of the house previously inhabited by a small family living in the 18th century. He touched on the overall traditional lifestyle of the farmers, and as he did so, it felt somewhat surreal seeing personal belongings of the people who lived in this house hundreds of years ago, clothes worn by them hanging in a wardrobe,black and white photos and portraits of the family hanging on walls. Every thing from shoes, portraits, farming tools, tableware were on display making it feel like their presence was still there. For centuries, the people of these mountains had been producing rich butter and cheese and grazing their cattle herds. The tradition of cheese making in this alpine area had been preserved until this day, and it’s common to stumble upon roadside cheese stands too. My visit to another museum-the Alpine Dairy Farming museum- provided me with a look into the past lives of local villagers and opened my eyes to the disappearing way of life in the area. It included very informative and detailed exhibits of the entire cheese-making process and even samples of tools used to manually make the cheese. You’d think the lifestyle was something of the 1800’s or even earlier, but alpine dairy farming in Bohinj only began to decline in 1971. However, fresh produce from farms and home-cooked specialities prevailed over commercialized factory products. Family-managed traditional dining businesses like “Gostilnas” serving domestic food like homemade bread, fresh goat cheese or deer goulash (to name a few), have always been more popular and sought-after among Slovenians. You can get a feel of this authenticity in tourist farms, where travelers get a chance to live with the locals and eat from their gardens while exploring the countryside and experiencing the rustic style of life. These eco-friendly tourist farms offer fresh meat and dairy products directly from the farm in a chemical-free environment, which is why the era of home made cheese-making has reigned and remained prominent. One of the many pretty Alpine houses I saw walking through a Bohinj Village. For the ultimate view of the lake my family and I took a cable car ride up to the Mount Vogel ski centre, a truly thrilling vertical ride through a narrow valley on its steep slopes encircled by stunning, verdant forested mountains. As we ascended the mountain, a thick veil of mist was swaddled around it. We began to see the entire view of Bohinj Lake. Bands of mist encircled other mountains from afar. I felt like I was in the heavens! When we finally arrived at the peak, we enjoyed a breathtaking bird’s eye view of the lake with skies filled with paragliders and vibrant air balloons. Situated at the peak of the mountain is a cozy and traditional Slovenian inn. It was freezing cold and fresh cow manure wafted through the air, as this is where most farmers make their living by breeding pasture cattle. When we arrived to the inn we were treated with homemade Slovenian dishes and desserts namely the famous Slovenian walnut rolls, cottage cheese rolls, apple strudels, and flaky pastries layered with custard. We relished the potica dessert, a well-known Slovene specialty which consisted of a circular loaf with a wide variety of fillings, namely nuts, honey, raisins and cinnamon. Overall I fell in love with the tasty and wholesome traditional Slovenian cuisine. Looking on at the scenery while being wrapped in blankets, and enjoying a cheese platter really made my day. Later, we topped it off with a spectacular chairlift ride offering us an unobstructed view of the mountains from atop. As we ascended and reached the peak of the ride it felt surreal. The strangest part was that it suddenly became really quiet, like we had entered into a portal of some kind. The silence was deafening. We had taken the ride three times previously, and found that it went dead silent at this one particular spot at the highest point of the ride. It was strange but amazing. I never experienced such a moment of absolute silence and stillness before, nothing but very soft hushes of wind. There is no better way to descend the mountain than to parachute your way down. I managed to build up the courage to go paragliding. I was taken by a car up the starting point above the mountain. It was my first time paragliding and the weather was perfect, so I learned the basics of it on the spot and went on a tandem flight. Soaring through the sky above the beautiful landscape was an unforgettable and thrilling moment. What I adore the most about Bohinj or Slovenia in general is the perfect climate that caters for all types of activities. The flight was the ultimate opportunity to absorb Bohinj to the fullest.